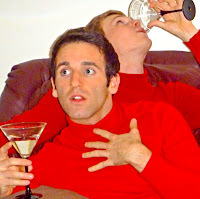 You may ask yourself why I'm such a Valentine's Day enthusiast. It's probably because I've been raised on Valentine's Day-themed episodes of TV sitcoms. I think my love affair started in elementary school with my most painful Valentine memory: in first grade I fell off a bunk bed onto an acoustic guitar resulting in twelve stitches and a disfiguring scar on my forehead. It could only get better from there. I loved those little cards you'd get too. I always got Little Mermaid, it was my thing. I would sort them all out and carefully select who got which cards. There always seemed to be that one kid in every class, the Ralph Wiggums of the world. I always gave them my least favorite cards from my Ariel collection, out of obligation mostly. Looking back, I wonder if some people just didn't give those black sheeps any cards at all. I always checked my Valentine's Day haul against the directory to make sure I received a card from each and every student. Maybe it's because of those poor kids that so few people appreciate this glorious holiday. 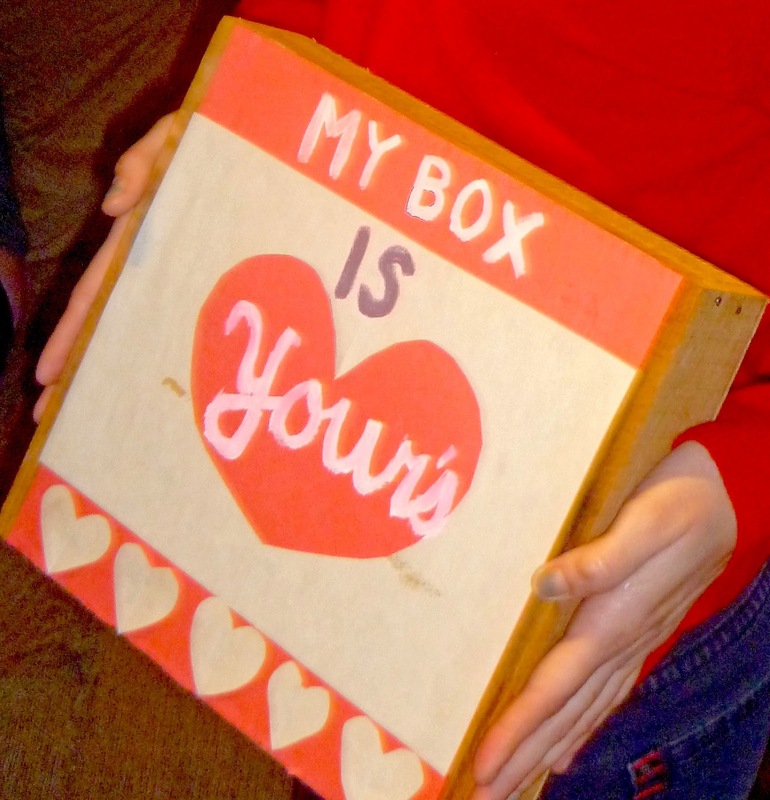 These days, even though I do still make a special mailbox for my desk, the Valentines are less plentiful. It's always nice when you get one from the most unlikely source, even if that is yourself. This year I am most thankful to St. Valentine and Amazon for the heart-shaped cake pan and deluxe edition of Anna Karenina. What is Valentine's Day without a little candy? Make that special someone happy with an array of their favorite chocolates. During long friendships, be them real or imaginary, people spend a lot of time eating sweets together. I like to pick up on my friends' favorites. 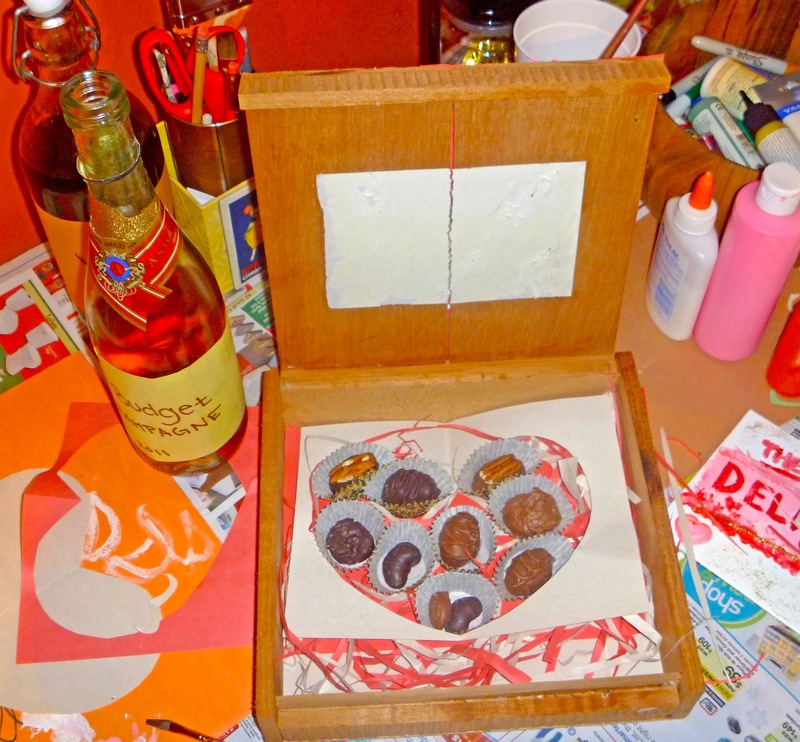 In this craft I'll show you a creative and thrifty way to give a personalized box of chocolates. Find a musty old box. Decorate the inside and the outside. Express your love. Fill with candy and give to a loved one. *For cat lovers: replace chocolate with treats and serve. Every year my mom makes a heart-shaped layer cake. This probably has a lot to do with why Valentine's Day excites me. As you all know I'm an avid lover of boxed cake mixes. 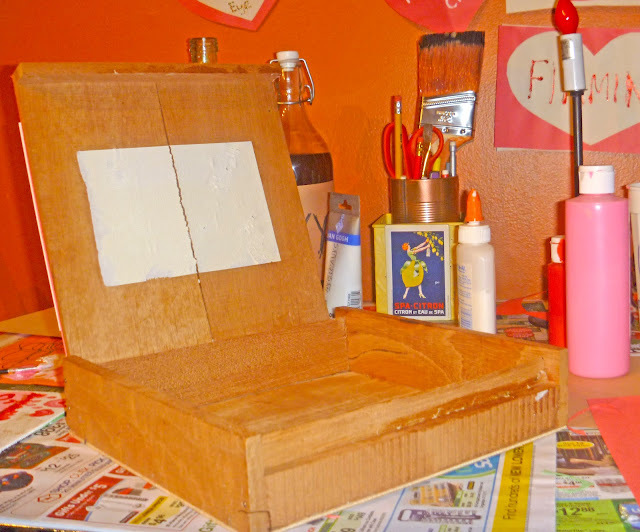 In the tradition of turning sows' ears into silk purses, watch as I dress up yet another boxed cake. If you know you're going to style it up, why let a silly thing like "homemade cake mix" slow you down, if you mixed it with eggs, oil and water, it's homemade enough. Step 1: Make cake as instructed on the box. Add 1/2 t-spoon maraschino juice to batter. Step 2: While cake is baking, puree or finely chop one jar of cherries. Stir cherries and white icing together for the tween-layer of frosting. Step 3: Once cake is cooled, cut into two layers with floss. Frost the top of the bottom layer with maraschino frosting. Put top layer on and continue frosting the outside with chocolate frosting. Step 4: Decorate top with cherries! Let cake marinate in fridge for three hours prior to serving. I took half of this cake to work and shared with my loved ones. The important thing is not to eat the entire cake by yourself. Hoping you have a safe and happy Valentine's Day, I know I did!